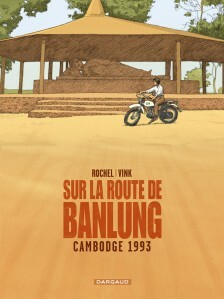 A fictionalized narrative, framing a personal testimony about the events that rattled Southeast Asia at the start of the 1990s.In 1993, the first democratic elections took place in Cambodia, under the aegis of the United Nations.Jacques, who is based in New York, is sent to Ratanakiri, a province in northeastern Cambodia. Close to Vietnam, this region has the depressing claim to fame of being the birthplace of the Khmer Rouge, who were guilty of the murder of millions of their fellow countrymen. Those who miss the old days of this genocidal regime blame the Vietnamese for the Khmer Rouge’s overthrow, and carry a fierce hate toward Vietnam. This animosity is shared, in part, by a large number of Cambodians, who blame their neighbor for having annexed part of their territory in centuries past.In this volatile environment, Jacques must conceal his true identity: he is half French, on his father’s side, and half Vietnamese on his mother’s. Jacques’ mission is to organize the elections, with all the tensions that involves – especially since, each month, he is responsible for the safe handling of a suitcase that contains $200,000 for the employees’ salaries! An ordinary government bureaucrat in Cambodia earns the equivalent of $20 to $30 a month…One day, Jacques comes across a fragment of a Vietnamese newspaper and, in a photo, recognizes a woman – a renowned female forensic surgeon. It is Nga, a high-school love interest from his teenage years in Danang, whom Jacques has not heard from in 25 years. Taking advantage of a trip organized by the U.N., he pays her an impromptu visit. In the shadows, Sey, a former Khmer Rouge and a friend of Tien, Jacques’ local collaborator, takes photographs of Jacques in the company of his old friend and, after tampering with them, sends them to Nga’s husband. After a journey toward the border, her husband is gravely injured. Nga finds him left for dead, with the photo of her and Jacques in his pocket… She manages to save him, but the couple are taken prisoner by a band of former Khmer Rouge. They force Nga to call Jacques, supposedly to obtain medicine.The trap closes around Jacques. He is ordered to return the next day, which is payday, with the suitcase full of money, in order to secure the couple’s freedom and to prevent the threat of blackmail against his wife back in the U.S.A. Jacques receives assistance from Tien’s wife, who reveals a family secret to him: she is half Vietnamese on the side of her mother, who succeeded in hiding her real identity throughout her life, but not in escaping the Khmer Rouge’s massacre 15 years before. Together, Jacques and Tien’s wife succeed in freeing Nga and her husband, saving their lives at the last minute – but not the suitcase…The elections go forward, the democratic comedy is played out, and Jacques is transferred to another province to finish serving out his term.This work frames one of the major geopolitical questions of Southeast Asia: how can two nations separated by so many barrier — political, cultural and economic — live together in peace?